Fiesta fever hit Beaconsfield as a recent client celebrated her 50th Themed Birthday Party at a private residence with 160 friends. 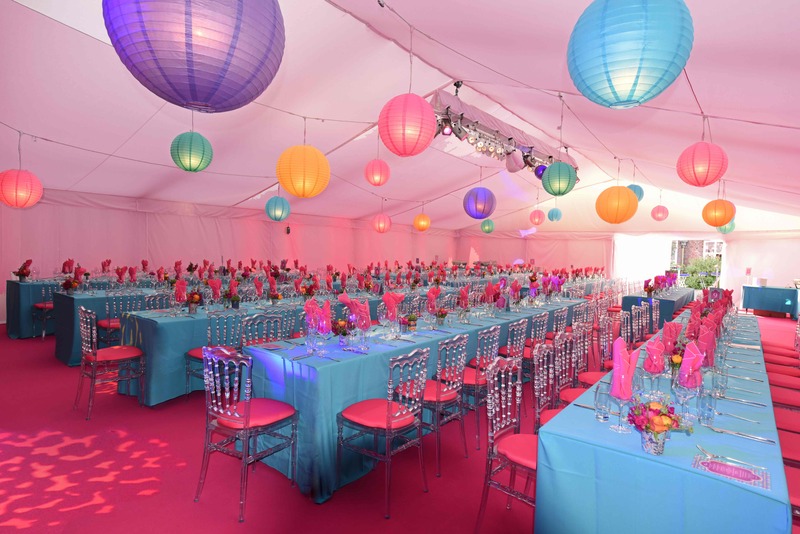 Papillon Events were called in to do the creative styling & design of the themed party and to transform the marquee into a colourful and vibrant Fiesta. 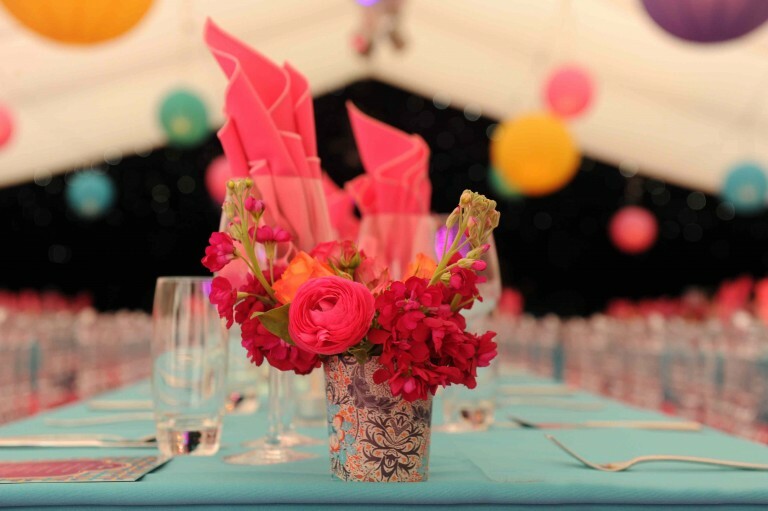 From the special lighting effects and floral decorations right down to the marquee design and table settings, we created a stunning backdrop for guests to have dinner and then party the night away. 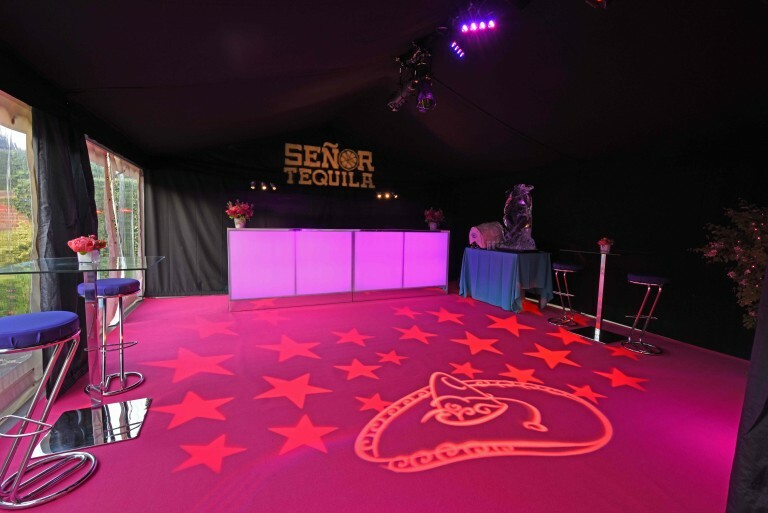 Our particular favourite was the Sombrero hat lighting projection which lit up the bar floor as guests enjoyed Margarita shots and the multi-coloured hanging lanterns which were strung from the marquee roof to compliment the overall colour scheme of orange, fuchsia pink, purple and turquoise. All in all, a great theme to work with and one we very much enjoyed creating and planning. If you’d like Papillon Events to style your upcoming event, whether its creating the overall look and design, invitations, floral decoration and lighting effects, we’d be only too happy to help. To book this service, get in touch today and see how we can transform your marquee into a themed party of your choice. Share the post "Fiesta Themed Birthday Party"